Dhaulagiri Round Trek is the challenging and strenuous adventurous Trek in Nepal offering the beautiful view of Dhaulagiri I, II, III, IV& V. Dhaulagiri I is the seventh highest peak in the world at 8167m above the sea level. This round Dhaulagiri trekking follows glaciers and crosses high snowcapped passes, a challenge suited only to fit individuals wishing to go on remote demanding trekking in Nepal done in the lap of Mt. Dhaulagiri and Mt. Annapurna giants. 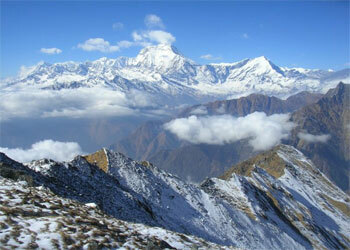 Dhaulagiri region is a land of dramatic contrast. The main attraction of Dhaulagiri Round Trek is the panoramic Himalayan view of the snowcapped mountain like Dhaulagiri, Tukuche Peak, Nilgiri, Annapurna, and Machhapuchhare etc. A spectacular view of Dhaulagiri, Thorong Peak, Annapurna and Kali Gandaki River with the world deepest gorge can be viewed during the Dhaulagiri trekking. The trek goes through big challenging mountain passes. This isolated Dhaulagiri circuit trekking offers amazing natural scenery, evergreen forest blossoming with rhododendron combined with native warm-hearted people and their heady mixture of unique culture. Truly it is an overwhelming adventure of the remote west of Dhaulagiri to the main popular Trans-Himalayan Salt Trade route and through the world’s deepest gorge of Kali Gandaki Valley. Dhaulagiri Round Trek is an opportunity to explore the snow-capped Himalayas lying around, rocky hills, stunning landscapes, yak pastures, a thick forest full of birds and animals and much more. In Dhaulagiri trek trail you can get the opportunity to explore the amazing lifestyles of Gurung and Magar peoples and their culture besides that you can see wild animals like Himalayan Thar, Red Panda, Leopards, Musk deer and different species of birds. 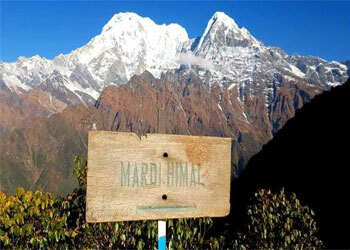 Being off the beaten track, this trek incorporates the best of what Nepal offers. Best Travel Time: February to Mid June, September – November is the best season. Dec & January is Winter. July & August is rainy time, trekking can be done but visibility can be poor due to rain. Transportation: Tourist Bus, Private Car/Van, Plane. We will be present there at the airport for your convenience to greet you and transfer to your desired hotel. When you have had your time to settle in and freshen up after your long fight, you will be invited to visit our office for a briefing about your program and have a short meeting with your trekking guide. If you arrive at night we will have the same discussion in the next day morning after your breakfast. The very next morning, after breakfast you will be taken for a full day sightseeing tour around Kathmandu valley. You can visit the center of pilgrimage Pashupatinath Temple and Swyambhunath, very ancient and essentially enlisted in UNESCO World Heritage sites. The biggest Buddhist Stupa at Boudhanath might make you feel calm and peace and the fine arts and historical architecture of Kathmandu Durbar Square takes you to the ancient Nepalese culture. On the journey back to the hotel, you can explore the local areas, gullies, and lifestyle. After having your breakfast, we will drive you to the Domestic Airport to take a 25 minutes flight to Pokhara. During the short flight, you will have majestic views of glorious Manaslu Peaks and the snow-capped Annapurna and Langtang Himalaya range. Or you can take a Tourist bus to Pokhara about 6-7 hour drive via scenic Prithvi Highway. From Pokhara take a drive to Beni with the magnificent views of Annapurna Himalayas. Beni is a bustling town on a plateau above the junction of Kali Gandaki and Myagdi rivers. We start our Dhaulagiri trekking along the Kali Gandaki River from Beni. Continue along the road past lush green rice fields, multicolored butterflies, and huge nightmarish spider webs. Pass by the villages of Mangalghat, Singa, and Tatopani. Crossing Tara khet, climb over a small ridge to Babiyachaur. Today, our trail crosses the terraced hills; Shahashadhara village Dudh Khola Ratorunga village. Tha river bank at Phedi offers a fine picnic spot. Cross the Danyga Khola on a big suspension bridge and grind up a series of steep switchbacks. Dharapani offers a good view of Dhaulagiri IV and V and Gurja Himal. The path goes steep up to Muri. From here you have the spectacular views of Mt Dhaulagiri and other mountains very closely. From Muri, the trail is easy and goes down for a few hours. After that, you’ll have some steep climb path to Boghara. The trail descends down to a small ridge then crosses forest to Jyardan. Descend a long, steep, slippery stone staircase into a deep bamboo and rhododendron forest to the village of Dovan. Over night stay at the guest house. You will reach the Italian Base Camp where you will camp just in front of the West wall of the Dhaulagiri. You’ll pass through beautiful forests trail and with the closer views of mountains panorama to Upper vungini which is the Italian Basecamp. The day is a rest day for the further climbs. You will have a little bit of hiking around or some sorts of exercises. Since, we are rapidly gaining altitude, keep yourself hydrated and take it easy. Today you’ll make use of ropes for the crossing of glaciers in some tricky places. This part is a bit a dangerous trail so be careful and have patience. Set your camp beyond the glacier. We will have climb to the rough and chilling part of this trek with the spectacular view of Dhaulagiri all the way. Enjoy the magnificent face of Dhaulagiri I on the trail. We reach the Dhaulagiri Base Camp at the height of 4650m or 15252ft. Getting off the glacier above the base camp often requires a rope, but once over the steep moraine walls, we are in a safer and gentler country. After a breathless climb to the top of French Col (5300m,) the views of Hidden Valley open out. The broad valley is reminiscent of Tibet and Ladakh and so are the temperatures, at least -20ºC at night. This is another rest day to admire the surrounding peaks and perhaps do some exploring in the hidden valley. A hidden snow valley gives you a heavenly test of the white world. After climbing over the 5200m Dhampus Pass, we traverse avalanche prone slopes and then descend steeply to Yak Kharka. The Dhampus Pass between Tukuche peak and Thapa peak is another heaven in the trip. From Yak Kharka we descend along the flank of the mountain to once again reach civilization. Marpha is the main inhabitants of the ethnic group of Thakalis favorite amongst the trekkers. It has kept its traditional narrow paved alleys and passageways and an extensive drainage system flows under the flagstone-paved street. The next day trail follows the Kaligandaki River through the narrow gorge, passing through traditional Thakali villages. 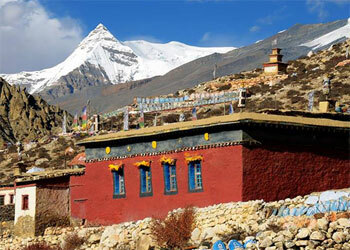 You can visit the red-roofed Taglung Gompa, on a hillside beside a huge sacred tree. The village of Ghasa marks a cultural and ecological milestone. We spend our night here in Ghasa. A lovely day walks along Kaligandaki riverside, gradually ascending with the transition into subtropical vegetation. Very interesting suspension bridges to be crossed which gives you the exciting sense of trekking. Tatopani is famous for natural hot springs – you can have time for a hot Scrub-up. The trail descends steeply through dense moss-covered rhododendron forest with rich bird life. We pass some small villages and walk alongside the Ghaja Khola. It’s about 7-8 hours work all the way up to Ghorepani. Ghorepani provides an unobstructed view of the sunrise over the high Himalayas. Early morning trek up to Poonhill, One of the best Himalayan viewpoints in Nepal Poonhill provides an unobstructed view of the sunrise over the high Himalayas. From Poonhill one can enjoy the spectacular view of Dhaulagiri I (8167m), Tukuche Peak Nilgiri (6940m), Annapurna South, Annapurna I (8091m), Hiunchuli (6441m) and Tarke Kang (7193m), Gangapurna (7454m), Lamjung Himal (6986m), Mt Fishtail ( Machhapuchhare 6997m), Tent Peak and many more High Himalayas. Trek down to Ghorepani and after breakfast start downhill trekking to Hille. We start our journey to Pokhara from Hille (1510m) early morning. The trail follows the main street of Birethanti, winding through the bamboo forests and past waterfalls with plunge pools appealing you for a refreshing swim. From Nayapul you’ll have the car drive for about 1 and half hour through large village Lumle to Pokhara city. 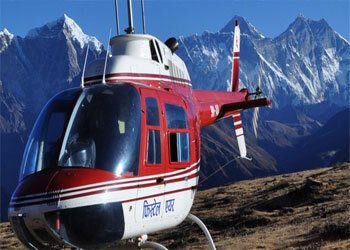 Day 22: - Pokhara to Kathmandu, take a 25 minutes flight or 6-7 hour drive. You can take a fight or take a drive to Kathmandu. You can have a very relaxing rest at the hotel. In the evening you can have your last night in Nepal enjoying the Nepali cultural dinner show exchanging greetings among friends and with all Nepalese people. We will drop you to the International airport to catch your flight back to your onward destination. Tented Camp During Trekking, Meals on full board (breakfast/Lunch/Dinner) with hot drinks tea and coffee. An experienced English speaking trekking guide, Cook, and Porters.